Making a Difference | Specialist employee relations & dispute resolution services. Mission: To make a tangible difference (with integrity and enthusiasm), to individuals and organisations. Marilyn Smyth undertakes all forms of dispute resolution work including investigations, mediations, exit negotiations and tribunal advice. Policy writing and guidance, stress risk assessments and psychometric testing for large organisations needing specialist HR skills and small businesses without dedicated HR resources. Professional employment tribunal advice and pre-tribunal conciliation from a practicing tribunal member. Employment and workplace mediation and independent, unbiased exit negotiations. Unbiased and independent investigations into grievance, bullying & harassment, discrimination or disciplinary issues. With current workloads it is sometimes a challenge for managers to make the time to undertake a comprehensive disciplinary or grievance investigation. Marilyn can undertake this task for you which would have the added advantage of being done by an unbiased independent person, taking claims of bias out of the equation, and adding credence to the findings. Marilyn sits on Employment Tribunal Hearings, and is therefore in a position to offer her clients Tribunal advice, the taking of witness statements is also offered. Making a Difference was founded in 2003 and has gone from strength to strength advising and supporting organisations through all kinds of dispute resolutions in times of extensive legislative change. 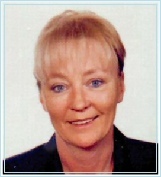 Marilyn Smyth, Managing Director of Making a Difference, undertakes all forms of dispute resolution work including investigations, mediations, exit negotiations and Employment Tribunal advice and, as a serving Tribunal Member, is well placed to offer current advice to clients. Marilyn has many years experience in the business and public sectors as a specialist employee relations consultant and HR services provider. Marilyn’s work is characterised by an impressive depth of knowledge in all aspects of HR practice and procedures, she is always quick to assimilate local policy to legislative frameworks and requirements and uses this to produce reports which are relevant, clear and accurate. Marilyn through her structured questioning and clearly extensive experience portrayed a sound knowledge of safeguarding legislation, broader procedures and policies. Clearly this knowledge assisted her in composing and asking the questions necessary to undertake a thorough investigation. Her thoroughness and conciseness meant that the cases being presented were fully investigated, unbiased and presented fairly allowing for appropriate outcomes to be reached. During the investigation Marilyn demonstrated an extremely high level of employment law knowledge and excellent analytical and judgement skills. In a challenging situation we really benefited from Marilyn’s deep experience, technical knowledge and integrity.